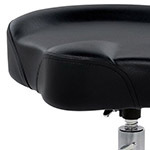 AC-JDS750URF The Yamaha DS750 is a round seated drum throne featuring a thickly padded black seat which is sturdy yet comfortable which allows you to focus entierly on your drumming performance. 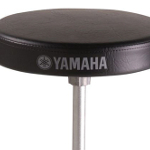 AC-JDS950RF The Yamaha DS950 Bench style drum throne is one of Yamahas upper range of drum stools. 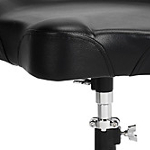 Made for ultimate stability, easy, precise adjustment and superior comfort, the DS950 truly is a throne for drum kings! AC-DWCP5100 Designed with a slightly smaller 13" seat top, but with all of the strength of a cast under-seat vise mount and double-braced legs, the 5000 is one of our most popular workhorse models. AC-DWCP5120 Designed with a slightly smaller 13" seat top, but with all of the strength of a cast under-seat vise mount and double-braced legs, the 5000 is one of our most popular workhorse models. AC-DWCP9120M The 9120 has an oversized tractor seat top. Both 9000 Series Thrones feature DWs newly designed double locking clamp, vise lock seat clamp and an oversized 1" base for added stability. 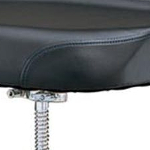 AC-JDS550URF This lightweight single braced Drum Throne is the perfect complement to any acoustic or electronic Drum Kit. AC-DWCP9100M The 9120 has an oversized tractor seat top. Both 9000 Series Thrones feature DWs newly designed double locking clamp, vise lock seat clamp and an oversized 1" base for added stability. 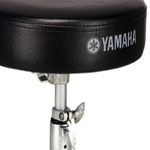 AC-JDS950 The Yamaha DS950 Bench style drum throne is one of Yamahas upper range of drum stools. 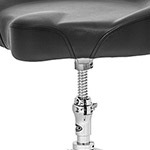 Made for ultimate stability, easy, precise adjustment and superior comfort, the DS950 truly is a throne for drum kings! 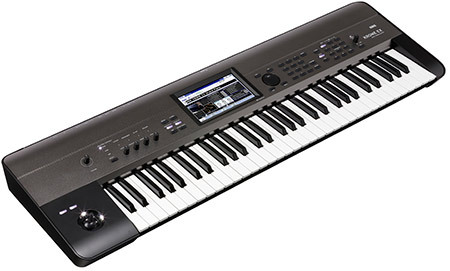 AC-DWCP3120 An affordable throne that�s not short on quality. 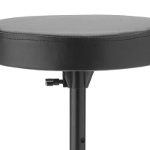 A heavy-duty steel tripod base and solid ear casting are designed to last for years and a durable vinyl covered solid foam seat top offer excellent support and comfort. 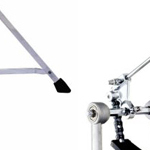 AC-JDS550U This lightweight single braced Drum Throne is the perfect complement to any acoustic or electronic Drum Kit. 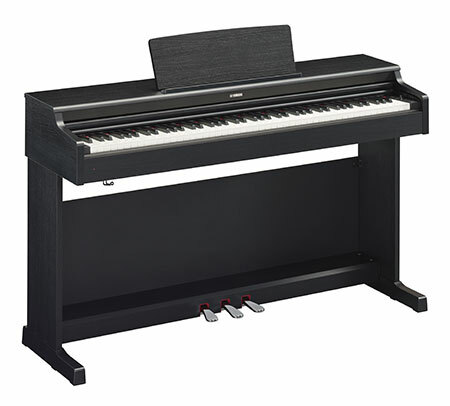 AC-DWCP3100 A range of medium weight hardware to suit varying musical styles. 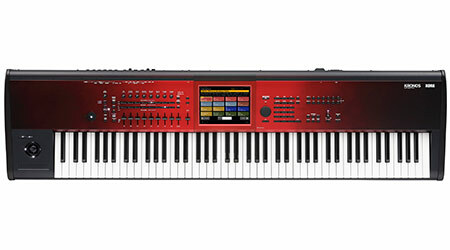 Light enough for the working drummer, but heavy-duty enough for heavy-hitters. 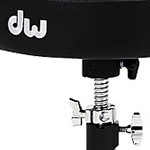 DW quality and dependability at a price most drummers can afford. AC-P200THRONEPK The perfect accompanyment for all entry-level electronic drum kits where throne and pedals are not included as standard. 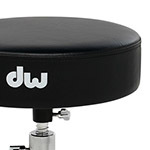 When it comes to choosing a Drum Stool/Throne to complete your set-up, there are only a small number of options available. 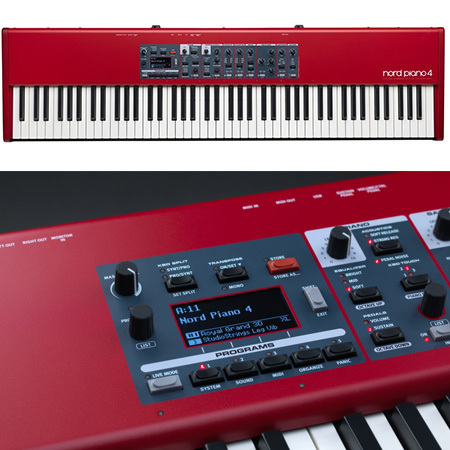 These options can however make all the difference to your comfort behind the kit and the confidence in your sticks. 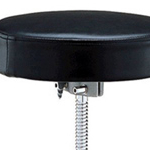 Here at A&C Hamilton, we deal with Mapex as our main source of Drum Thrones/Stools. 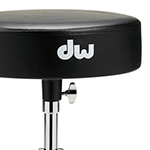 Mapex manufacture stools to suit all personal taste, budgets and size. Check out our range of stools and see what fits you best... "Suits you sir!"